Festivals are a brilliant way to spend a summer weekend in the UK enjoying music, food, comedy and anything else you enjoy with other people. Here’s just 10 UK festivals every American student should experience, but beware, there are lots more to experience too! Regarded as one of the best festivals in the world, Glastonbury welcomes over 200,000 people every year to see thousands of live bands perform alongside artists, poets, and magicians. If you love food, this is one of the best festivals you can attend in the UK. Created by TV chef Jamie Oliver and Blur guitarist Alex James, expect to eat some delicacies you’ve never eaten before. Held every year on a small island off the South West coast of England, the Isle of Wight Festival hosts the biggest contemporary artists alongside iconic bands, such as Pearl Jam and Red Hot Chili Peppers. A heavy rock festival set in the middle of the country, the festival is renowned for booking the best acts, including Black Sabbath, The Prodigy, and Metallica. 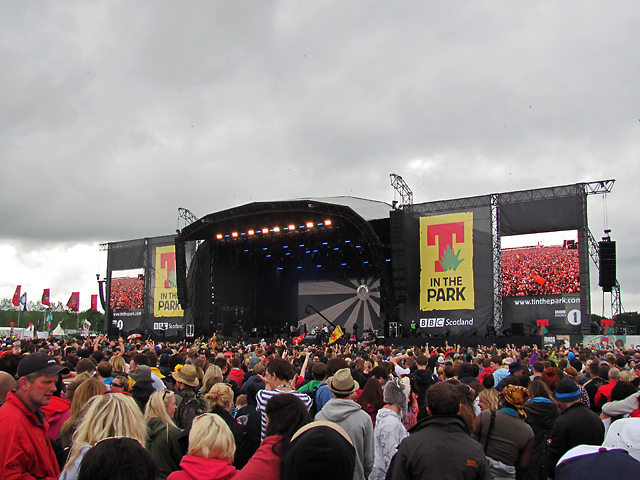 The UK’s second biggest festival is held in Scotland and attracts over 255,000 people over the three days that it is held. As well as hosting international acts such as Rihanna and Pharrell Williams, expect a large presence of Scottish musicians. Described as a ‘fairy-tale weekender’, the Secret Garden Party is like no other festival you will attend in your lifetime. Surrounding a large swimming lake, visitors can listen to latino, reggae, and dance music, as well as participating in yoga! The number one dance festival in the UK, 55,000 people descend into Cheshire to listen to the world’s best-selling DJs, including David Guetta and Paul van Dyke. The festival is also your chance to experience the world’s smallest portable nightclub. 200 miles apart, these two music festivals simultaneously entertain tens-of-thousands of people over a three day weekend. Reading Festival is the world’s oldest popular music festival still in existence. The literature and arts festival, held in Wales, celebrates great writing, poets, scientists, lyricists, comedians, novelists, and environmentalists. For those looking to expand their knowledge and/or be inspired, this is the festival for you. The largest arts festival in the world, Edinburgh Fringe Festival spans 25 days totalling over 2,700 shows to millions of audience members. For those who enjoy stand-up comedy, as well as funny theatre performances, this is definitely the festival for you.